The Sitges - International Fantastic Film Festival of Catalonia reaches full maturity and celebrates its 51st anniversary in 2018. It is the most important international event in the world that specialises in fantasy and horror films, and this time honours the cinema of genre. A unique event for film lovers to enjoy presentations, premières, conferences, exhibitions and a lot of proposals related to the field. Since it started in 1968, the festival has turned into a cinematic referent on the field's new trends, technology and creativity. Proof of this are the first-class directors, actors and producers who attend every year. Illustrious film-makers like Sir Anthony Hopkins, Quentin Tarantino, Terry Gilliam, John Landis, Takashi Miike or Guillermo del Toro, are just some of the names that have been on the Fantastic Film Festival of Sitges through the years. When takes place the International Fantastic Film Festival of Catalonia? The International Fantastic Film Festival of Catalonia takes place on the first half of October, between the 4th and the 14th of October. 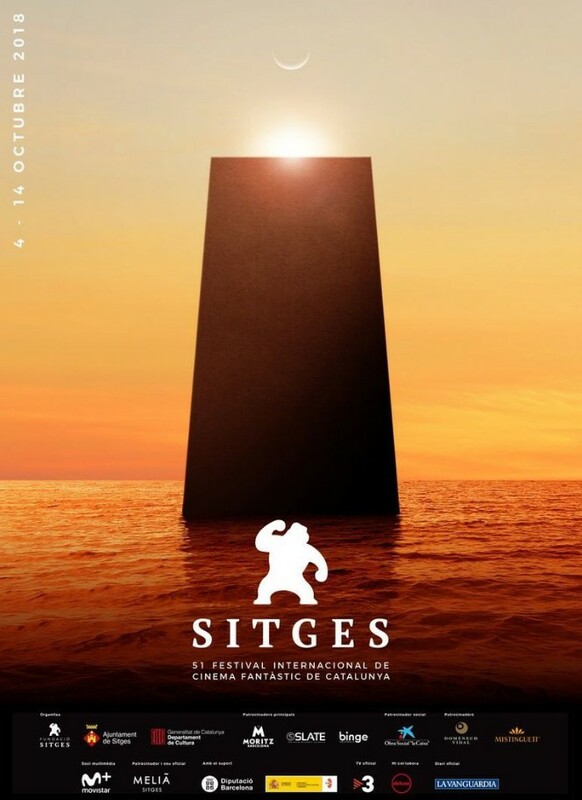 Throughout the ten days of the event, different venues in the city of Sitges host multiple screenings, marathons, forums, exhibitions, concerts and activities organised by the festival. For some years the festival has been in charge of choosing a specific theme, making it the protagonist of its banner and special programs. On several occasions it has been commemorative of some film. Some of them have been 'Alien' in 2009, 'The Shining' in 2010, the interpretation of dreams in 2014, 'Se7en' in 2015 or the saga 'Star Trek' in the edition of 2016. In 2018, The festival will pay tribute to the 50th anniversary of the premiere of Stanley Kubrick's "2001: A Space Odyssey". Proof of this is the design of this year's poster in which you can see the mythical monolith of the film. The section that catches all eyes is, without a doubt, the Oficial Fantàstic, the official section of the festival. It includes all the films that opt for the Gorilla Awards (Sitges award from an international jury) in various categories: 'best film', 'best director', 'best screenplay', 'best photography' or 'best special effects', among many others. In addition to the aforementioned Awards, there is the Grand Audience Award, that is based on the vote of the attendees, and it is one of the most prestigious. Other prizes will be the José Luis Guarner Award, the Citizen Kane Award for the best debut, Noves Visions Award, Màquina del Temps (Time machine), Nosferatu or Focus d'Àsia award, dedicated to the films of the Asian continent. Out of competition, one of the most important recognition is the Grand Honorary Award. The films that will take part in the official section of the International Fantastic Film Festival have not yet been presented. You can find more information about all the programme, trailers, activities and tickets on the official website of the Sitges Film Festival.